I am swapping it up with Stout Made Crafts today! She is a new blogger so stop by and check her out and send her some love! Hi there! I'm so excited to be here swapping blogs! My name is Ciera from Stout-Made Crafts! 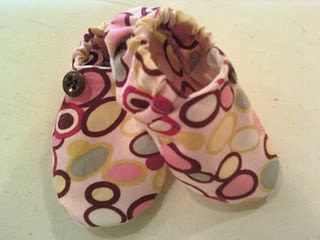 I'm relatively new to the craft blog world, but I'm trying to get more followers and make some cute crafts for people! Sorry this isn't more involved or informative, I've had the flu the past few days and my husband just had his 5th heart surgery, so we've been a bit busy over here! Here's a look at a few things that you'll see on my blog! Take a look, and I hope you enjoy! Right now I specialize in making baby things. Shoes especially. The shoes sell for $8 a pair, plus shipping. I am also making carseat covers. They are reversible, and double as nursing covers! I LOVE mine! I seriously use it everyday! I'm going to add pockets to my next one so that you can add a diaper, wet wipes, binki's, or cell phones, what ever you need and always have it with you. Sorry I look so bad. Like I said, I've got the flu! I am selling them too! I can make them for girls or boys, gender neutral, or even one side boy and the other girl, one sided, or reversible, nursing cover or not. To have them one sided they are only $35 + shipping, and for reversible they are only $40 +shipping! But, if you head over to my blog and leave a comment, or e-mail me at cieranm2@yahoo.com requesting a cover I will give you the shipping for free! You have to mention that you saw me here at Every Crafty Endeavor to get this offer, and it only lasts until the 26th at 9:00 pm MST. The same goes for the shoes. I'll send you a pair and I'll pay the shipping! I'm excited to hear from you all, and can't wait to get some cute covers and shoes made for you! Thanks for checking me out! I hope to see you all on my blog soon! Those shoes are adorable! What a great idea to make the nursing cover do double duty! Smart mama! 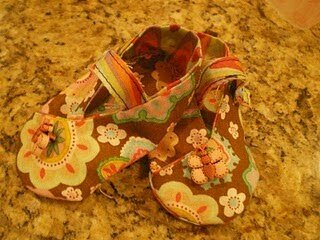 Cute shoes - too bad my children are to big now! Congratulations on the blog swap, and hope you are feeling better soon! 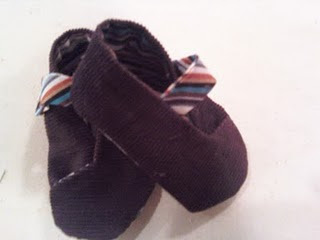 I love to see the baby shoes! 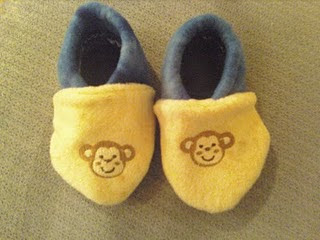 I hope my baby will look cute to have these shoes.